485 thousand 586 students to sit for SEE this year - Integration Through Media ....! 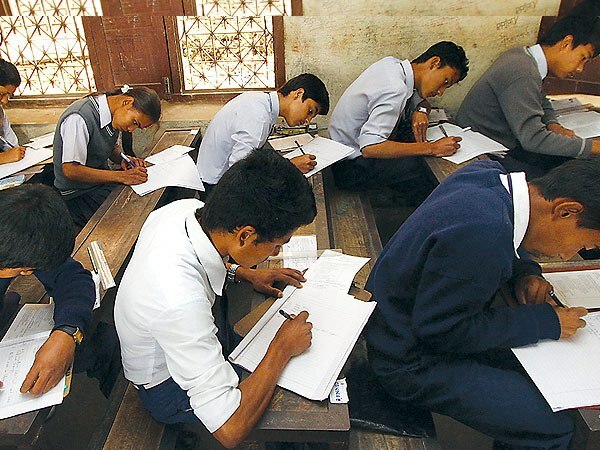 KATHMANDU: A total of 485,586 students are sitting for the Secondary Education Examinations (SEE) scheduled to be held from March 22. The examinations taking place first time as per a new curriculum will take place at 1,956 centers set up across the country, the National Examinations Board said. According to the Board, 1,956 superintendents, 2,450 assistant superintendents, 20,340 supervisors, 10,676 assistants and 29,340 security personnel (total 64,762 human resources) will be deputed for conducting the exams that will run until April 13. The maximum number of students (183,000) appearing in the exam are from Province 3 while Province 6 has the least number (38,592).